To begin, what is IoT (The Internet of Things) and Industry 4.0? When you take billions of devices and connect them through the Internet, collecting and sharing data, that is the IoT. These devices communicate and interact with other devices over the Internet, while being remotely monitored and managed. Many homes already have IoT devices, such as thermostats that are connected to the Internet enabling a home owner to control them from a smartphone. This thermostat can be connected to smoke and carbon monoxide detectors throughout the house, relaying information to the homeowner wherever that person may be. The home security system is also tied into the Internet connecting various sensors placed on doors and windows, motion detectors, and cameras, making it easy for the homeowner to check on the home while on vacation. Industry 4.0 is considered to be the fourth transition of manufacturing, regarding the way that products are manufactured because of the digitation of manufacturing. Industry 1.0 was the first industrial revolution using water and steam power to mass produce products. In the second, electricity moved manufacturing forward, while in the third, the adoption of computers and automation was the main force. In industry 4.0, manufacturing applications for IoT technologies are enormous. Entire sections of a manufacturing plant can be monitored and controlled by a single person in a control room, due to sensors that can monitor machines, while relaying critical information to the central control room. This brings down labor costs, improves safety and allows for 24/7 operation without breaks. Computers disrupted manufacturing. Now, computers are connected and communicate with each other to make decisions without human intervention. As the future of Industry 4.0 unfolds, we will see a combination of cyber-physical systems, the Internet of Things and the Internet of Systems. This will result in smart machines getting even smarter. Because of the interconnectivity of manufacturing machines, a large amount of data can be used to update the maintenance department regarding performance. Data can be analyzed to identify patterns, which would take humans too long to perform the same function. Industry 4.0 offers the opportunity for manufacturers to improve their operations without delay and make processes more efficient by recognizing what needs attention. Manufacturers do not operate on their own. They have supply chains, which in turn, have their own tools, and data, processes, and network. By bringing the networks of the manufacturer and its suppliers together with the IoT, it would permit the entire supply chain to respond seamlessly to the market. Better decision making is the chief benefit of IoT in Industry 4.0. When machines are connected, the data they produce emerge into software applications that generate the information that management can use to make intelligent and timely decisions. Now, decisions can be made based on knowledge and not guesswork, eliminating mistakes and waste. It will be possible for management to determine if every component of a manufacturing system is operating at a peak level. Real-time machine updates can be applied without delay and automatically to take full advantage of productivity, while minimizing energy consumption. Manufacturers face formidable challenges in putting these new technologies to work. Management needs to expand their functional knowledge about digital technologies and then create and execute custom manufacturing strategies. Industry 4.0 requires the accumulation and thorough assessment of data from many different sources, such as production equipment and systems and customer management systems, which will become the norm to support real-time decision making. It will be essential that robots interact with one another and work safely side-by-side with humans. In the future, these robots will cost less and have a greater range of capabilities. 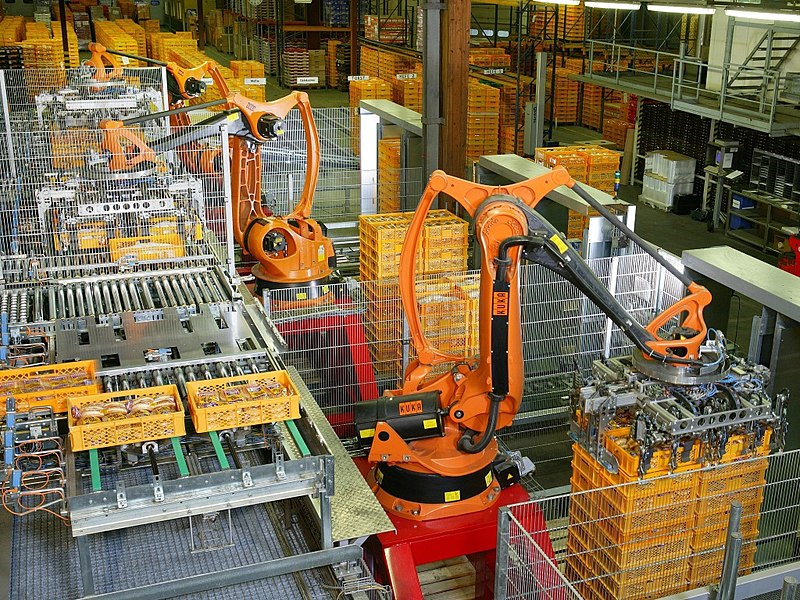 For many manufacturers, connecting robots on the production floor to one another, and then to the back-office systems in finance, and purchasing is that they’ll be drowning in data. Therefore, a new mindset will be needed to tackle the power of the software to coordinate the actions needed. Horizontal and vertical integration both play an important part of Industry 4.0. Horizontal integration is the integration of various information technology systems in the production and automated equipment used in various stages of production and planning. Information must be connected between firms and geographically remote sites across the value chain. Vertical integration is the integration of information technologies in IT systems in various chain of command levels in production and automation. The vertical and horizontal cooperation between machine and internet, machine and person and machine to machine in real time is the basis of the production cyber system. 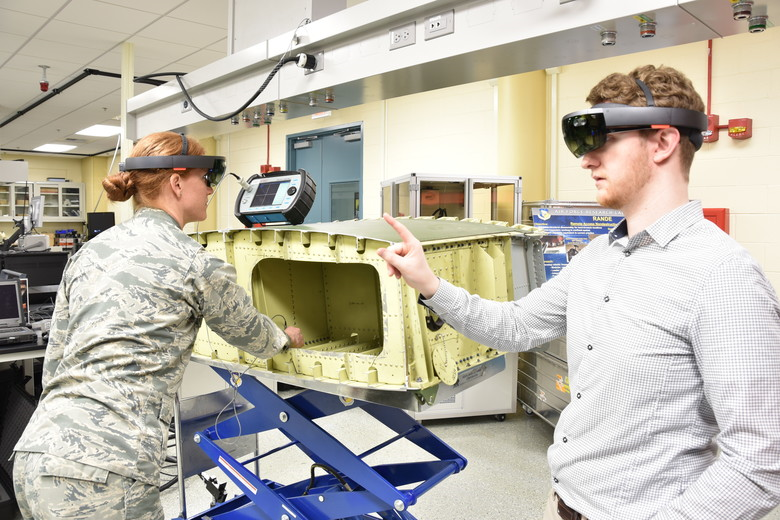 Augmented reality-based systems provide for a diversity of services, such as selecting parts in a warehouse or transmitting repair instructions over smart phones. These systems are in their early stage of development but in the future, they will be used to provide workers with real-time information to improve decision making and work procedures. The Cloud and Industry 4.0 is a match made in heaven. The wider use of Cloud technology will play a key role, empowering organizations to be more immersed in digitalization. More production associated activities will require increased data sharing across sites. As the performance of cloud technologies improve, we will see reaction times of just milliseconds. Because of this, machine data and functionality will be deployed to the cloud, allowing for more data-driven services for production systems. A supply chain that utilizes the Cloud and the available information will connect key stakeholders, providing real-time visibility, letting organizations proactively supervise the supply chain, and improving risk management. Is your manufacturing facility Industry 4.0? To be Industry 4.0, it must be interoperable, meaning that it must have machines, devices, sensors and people that connect and communicate with one another. The information must be transparent, creating a virtual copy of the physical plant through sensor data in order to sort information. The system needs to assist humans in making evaluations and solving problems. The ability of cyber-physical systems to make minor choices on their own and become as autonomous as possible is crucial to Industry 4.0.